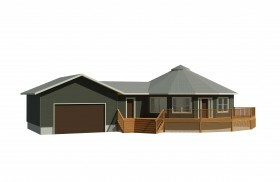 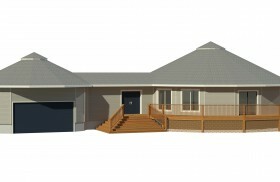 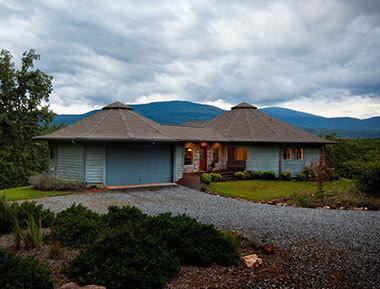 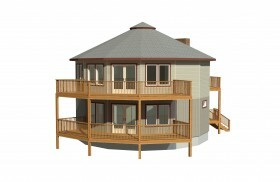 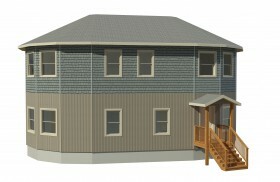 This custom two-story, 1752-square-foot Deltec home utilizes our very popular open-to-below option. 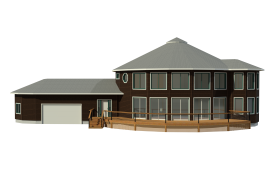 This allows a portion of the floor between the upstairs and downstairs to be open, making the home feel even more spacious. 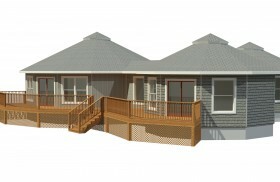 It was important for this homeowner to have the master suite on the main level, separate from the additional bedrooms. 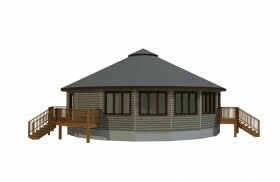 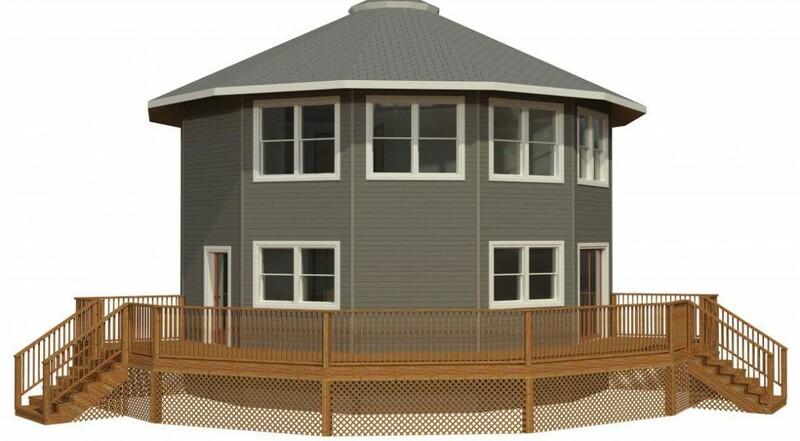 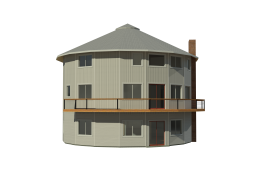 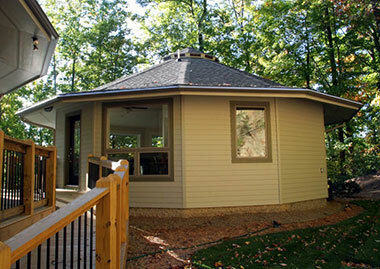 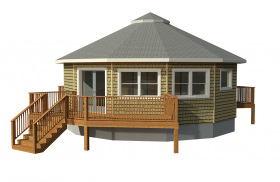 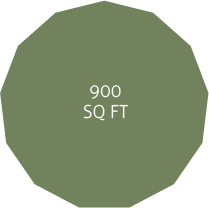 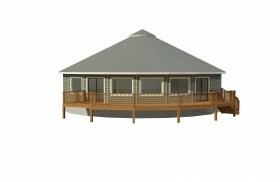 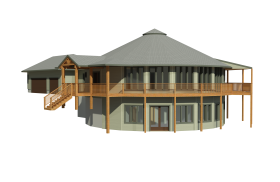 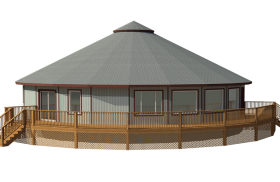 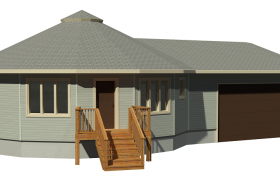 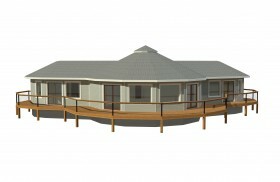 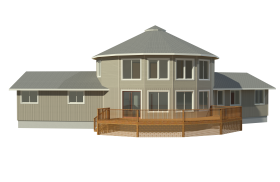 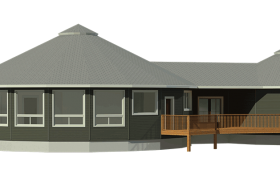 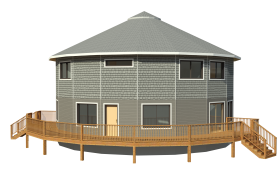 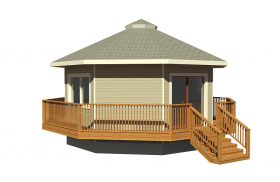 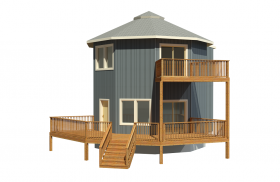 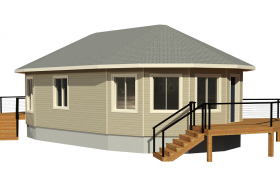 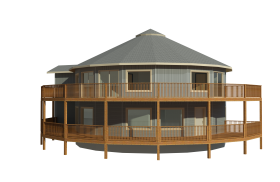 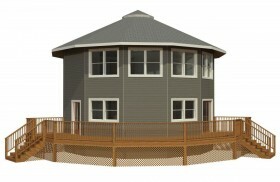 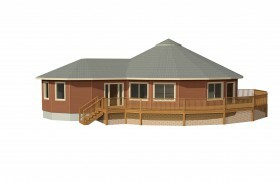 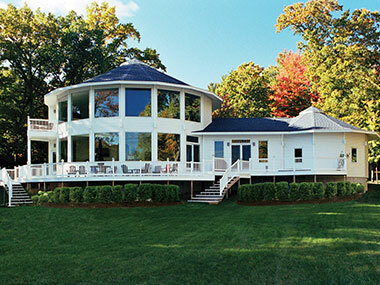 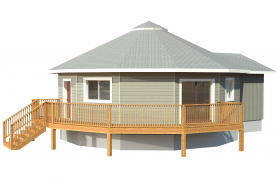 Each of our circular Classic Deltec homes are completely custom, allowing you to create the best floorplan to fit your needs.